President Emmerson Mnangagwa yesterday effectively ended police Commissioner-General Augustine Chihuri’s 24-year tenure as boss of the Zimbabwe Republic Police (ZRP) by sending the top cop on leave pending retirement as he rang several changes to the security sector in a major shake-up. Chihuri’s deputy, Godwin Matanga, has been named acting Zimbabwe Republic Police (ZRP) boss. The changes were announced by chief secretary to the President and Cabinet Misheck Sibanda who revealed in a statement that Chihuri went on leave Friday. Chihuri attended the Zanu PF extraordinary congress last Friday. “Commissioner-General of Police,...Chihuri, started his leave on 15th December, 2017 pending retirement from the service. Deputy commissioner general Cde Godwin Matanga has been appointed acting commissioner-general of the Zimbabwe Republic Police,” Sibanda said in a statement. As first reported by the Daily News two weeks ago, Mnangagwa has made several changes to the security sector, including retiring Commander of the Zimbabwe Defence Forces (ZDF) General Constantino Chiwenga whom he replaced with Zimbabwe National Army (ZNA) commander, Phillip Valerio Sibanda. Chiwenga’s retirement, pending redeployment, paves way for him to become vice president. Sibanda will be replaced by Edzai Chimonyo — Zimbabwe’s former ambassador to Tanzania, Burundi and Rwanda, who has been recalled from diplomatic service. Sibanda will now superintend over the powerful ZDF — composed of the ZNA and the Air Force of Zimbabwe (AFZ). Also as first reported by the Daily News, Air Vice Marshal Elson Moyo, has been promoted to the position of AFZ commander, replacing Perrance Shiri who is now minister of Lands and Agriculture. Air Vice Marshal Shebba Shumbayaonda had briefly replaced Shiri as Air Force boss in an acting basis. Shumbayaonda’s fate is unknown. Moyo will be deputised by former air commodore, Jasper Marangwanda, who has been promoted to the rank of Air Vice Marshal. Shiri was promoted to the position of Air Chief Marshal on retirement. Also promoted on retirement was former ZNA chief-of-staff, Sibusiso Moyo, who goes a rank up from Major-General to Lieutenant-General. He is new Foreign Affairs and International Trade minister. Major-General Engelbert Rugeje has also been promoted to lieutenant-general following his resignation and subsequent appointment as Zanu PF national political commissar. Brigadier generals David Sigauke; John Mupande; Paul Chima and Hlanganani Dube have all been promoted to major generals. In his statement, Sibanda said the changes were with immediate effect. But the major highlight of Mnangagwa’s changes was the announcement of Chihuri’s looming departure from the police force. 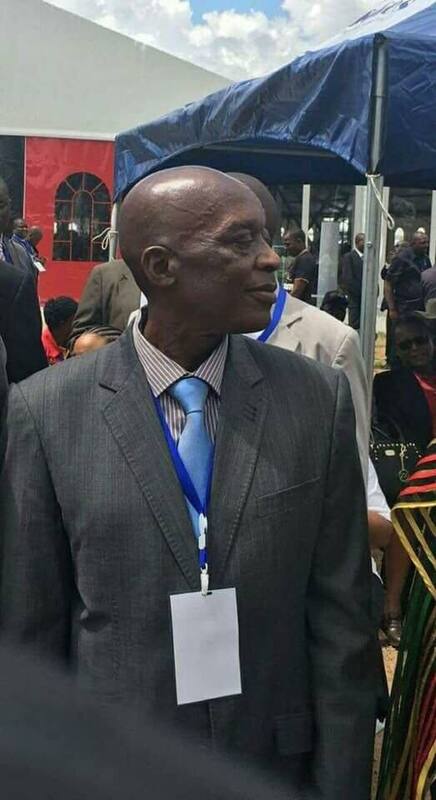 The 64-year-old ex-combatant’s tenure was marred by widespread allegations of corruption and gross human rights violations, which were levelled against him and the police force. This was further highlighted by thousands of ordinary Zimbabweans who booed him at the inauguration of Mnangagwa on November 24 when he was about to take his oath of allegiance to the new president. Chihuri was firstly booed as he arrived at the packed 60 000 capacity stadium. Contrary to the gratitude expressed to other members of the security sector, Chihuri, reportedly seen as part of a component of the security forces who wanted to defend Mugabe’s hegemony, had a torrid time maintaining composure as he struggled to read through his loyalty pledge. Chihuri was mainly unpopular for the numerous roadblocks which were being mounted by the police which the public alleged were meant to extort motorists. Apart from triggering a public outcry, the ubiquitous roadblocks drove away international tourists who complained of harassment and demands of bribes by cops manning them. Chihuri received his military training at Mgagao in Tanzania and had been the longest-serving police chief after he assumed the helm of the force in 1993. He took over the reins as acting commissioner in 1991 replacing Henry Mukurazhizha. Two years later he eventually became substantive police commissioner in 1993.